Why go out to play a round of mini golf when Jackson Arcade & Gaming Rentals can bring the mini golf to you!? 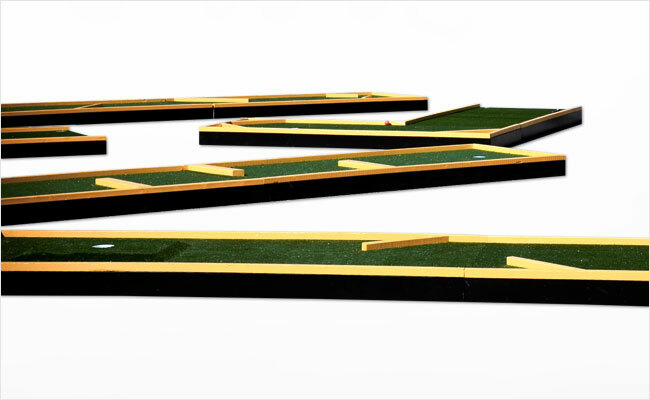 Our 9 hole putt putt course will keep your guests entertained for hours while they try to master each challenging hole. Call or email us today for a free quote!